In November 2011, I travelled to Bermuda to start my postdoctoral project, “Marine Biogeographies: British Navy and Military Cultures of Natural Science in the Nineteenth-Century North Atlantic.” Building on my doctoral work on the intersection between British military culture, and ideas and practices of ornithology, my postdoctoral project aims to understand how natural history knowledge of Canada, Bermuda, and Britain helped to produce a militarized maritime bioregion in the 19th-century North Atlantic. During this time period, Britain established an imperial defense network of fortifications and bases to secure economic and colonial control in the British Atlantic, and to prevent the United States from invading Canada, “since Bermuda, conjointly with Halifax, holds in check the whole Atlantic coast of the United States” [(T.L. Godet, Bermuda: Its History, Geology, Climate, Products, Agriculture, Commerce (London: Smith, Elder, Co. 1860), 3]. The Royal Navy commanded the sea while the British military secured strategic ports and waterways, extending the imperial network from Bermuda to the Great Lakes of Canada. From this network emerged the collection and documentation of marine flora, fauna, rivers, weather patterns, and seascapes (through maps, specimens, charts, watercolours, photographs) by British navy and military officers who were patrolling and garrisoning the various sites in British North America and Bermuda. My primary concern is how the production, circulation, and reception of natural history knowledge and material culture by these individuals helped to constitute the British North Atlantic as a meaningful place and contributed to the production of ideas and practices of marine biogeography – the scientific study of the distribution of marine fauna – and the migration of species. During my short visit to Bermuda, I focused primarily on the documentation of primary source materials available in the archives and museum collections, and explored some of the military and navy sites of the nineteenth century, tracing the numerous connections between Canada and Bermuda, and the ways in which the movement of people, ideas, and things helped to shape the British North American region. I toured the historic Royal Naval Dockyard and the Commissioner’s House (now part of the National Museum of Bermuda), overlooking the vast Atlantic Ocean (Figure 1). Once considered the “Gibraltar of the West,” the infrastructure located on Ireland Island served as the wintering grounds for the North America and West Indies Station (also known as the North America and Lakes of Canada Squadron, and the River St. Lawrence and Coast of America Station, among other titles). The summer station for the Royal Navy in the Americas, of course, was in Halifax, Nova Scotia, resulting in the relocation of naval manpower with the changing seasons in spring and autumn (Figure 2). How did these trans-imperial movements between Nova Scotia and Bermuda impact ideas of climatic regions and species migration in the “New World”? While sitting outside the Bermuda Natural History Museum, I spotted a Great Blue Heron standing motionlessly on a small boat, waiting to pounce on its prey. My previous encounters with the bird involved observing it in eastern Canada, stalking fish in freshwater wetlands and rivers, amidst cattails, rushes, and willow trees. The heron I observed on this day occupied a different habitat all together. Found in the inland waters of Flatts Village, herons abound with squid, tropical fish, and seashells from the tidal ocean waters of the Atlantic. 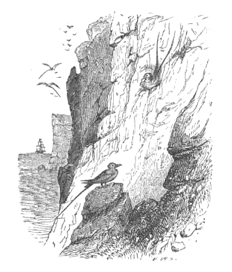 According to John Matthew Jones, John L. Hurdis, and John Walter Wedderburn in The Naturalist in Bermuda: A Sketch of the Geology, Zoology, and Botany (1859, 78) the Great Blue Herron (Ardea Herodias) was “a wary bird… not frequently met with on the shores or creeks of the Bermudas.” As the authors explained, the bird was migratory and arrived in the autumn, with a few remaining throughout the year. Interestingly, all three authors of The Naturalist in Bermuda lived in the maritime colonies of Canada. Jones fostered an extensive network of British military and Royal Navy officers, shipmasters, and colonists in his pursuit of natural knowledge, and contributed significantly to the natural history of Nova Scotia while a resident. Hurdis worked as Controller of Customs in both Prince Edward Island and in Bermuda, which gave him access to information from ships travelling to and from Nova Scotia, New Brunswick, and PEI. As part of his trans-Atlantic military service, Captain Wedderburn, 42nd Regiment (Black Watch), served in Halifax and Bermuda, making a vast collection of North American birds now housed in various museums in the United Kingdom and the United States of America. Again, my fieldwork investigations sparked questions on links between imperial and “natural” connections, and the ways in which colonial environmental knowledge emerged from networked, mobile knowledges in the British North Atlantic. At the Bermuda Archives, I had the opportunity to research watercolour albums and manuscripts. Such materials included Captain Henry Maurice Drummond-Hay’s (42nd Regiment) 70 watercolours of the fishes of Bermuda, circa 1840s (Figure 4). I was drawn to his image of the Green Moray, which he painted vividly with different shades of green and very sharp teeth. Other fish included the Toadfish, Garfish and Mackerel. I viewed a collection of watercolours of Bermuda landscapes and seascapes by Royal Navy officer Sir Michael Seymour, who served on HMS Vindictive in the British North America and West Indies Station, 1845–1848. Many of his British North America views are housed at the Musée du Québec, Québec City. I also studied the watercolours of Edmund Gilling Hallewell, 20th Regiment, who later served in Québec City and Kingston, where his watercolour of Fort Henry is housed at the Queen’s University Archives. My investigations at the archives also allowed me to learn about the politics of “race” in Bermuda, impressing on me the delicacy of dealing with such tensions. I viewed an original Slave Register that was used to record all of the enslaved persons in Bermuda for the compensation of plantation owners after Abolition in 1833. While Bermuda’s physical geography limited the formation of a plantation economy familiar in the Caribbean, a romanticized version of the slave past has emerged that has focused on the betterment of slaves as skilled sailors, pilots, and housemaids. Despite this version of the past, the fact remains that the island slavery existed in Bermuda, where enslaved peoples lived without freedom, were sold as commodities, and were placed in precarious situations. Bermudian-born Mary Prince was one of the first people to provide first-hand descriptions of the brutalities of enslavement, which were recorded, and perhaps altered, by Susannah Strickland (later Moodie). The issue of “race” will continue to be a focus on my postdoctoral work. I learned that army-naturalist John Tavenier Bartram, 20th Regiment, sold his commission and left his wife in England to settle in Bermuda. He lived with a Black Bermudian woman, a behaviour viewed as “degenerate” by British middle and upper class in Victorian times. Lady Brassey included a description of Bartram (Bertram in her book) and his popular natural history collection In the Trades, the Tropics & the Roaring Forties (1885) (Figure 5). Some of Bartram’s naturalist notebooks can be found at the Bermuda Archives, and a few of his avian specimens are at the Bermuda Natural History Museum. Bartram became a centre of naturalist activity in Bermuda, making connections with other British military officers such as Philip Savile Grey Reid, Royal Engineers, who published Birds of Bermuda (1884). Reid also connected with John Matthew Jones when stationed at Halifax. 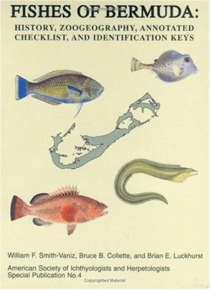 While I only scratched at the surface of my research project, I was fortunate to visit Bermuda and to meet such wonderful and generous people, including Andrew Bermingham (Bermuda Historical Society); Dr. Robbie Smith and Lisa Greene (Bermuda Natural History Museum); Dr. Edward Harris and Elena Strong (Bermuda National Museum); Mandellas Lightbourne and Karla Ingemann (Bermuda Archives); and Dr. Duncan McDowall, who facilitated my trip from Kingston, Ontario. I look forward to future research and collaborations. Very interesting.. I have been doing some research on Edmund Gilling Hallewell,, Junior, whose family lived at Stratford House,, Strouid, Gloucestershire,Uk..now home to the Museum in the Park, where I work, We are hoping to eventually publish a history of the house, including Hallewell`s family. You probably know that he married the daughter of William Reid, who was Governor of Bermuda from 1839-46 Reid was also a meteorologist and studied storms.He also founded the library there. Hallewell was also close friends with Roger Fenton, the founder of the Royal Photographic Society Hallewell painted a “Panorama of Sebastopol and the Camps” in his tent at the Crimea, which he sent to Queen Victoria..it`s still in the Royal Collection at Windsor.